If you’re in the early stages of designing your own new build home or grand design in the Surrey, Berkshire or Buckinghamshire area then Concept Virtual Design can help. We offer a range of virtual design services for your stunning new home. 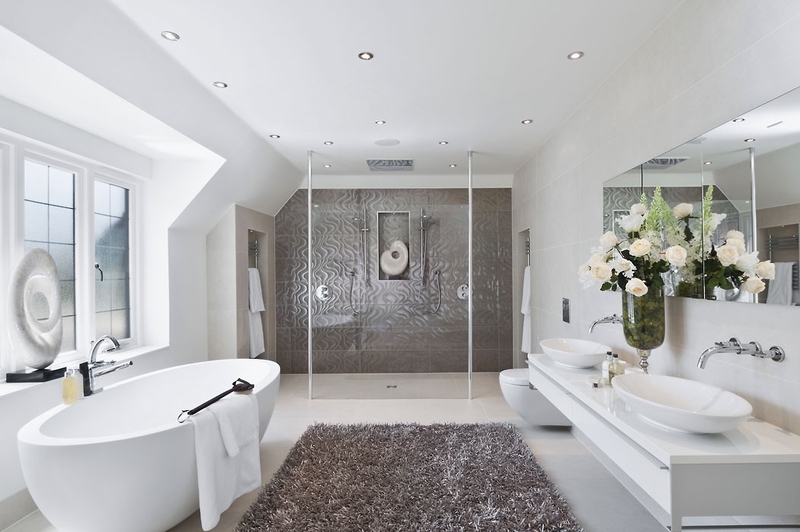 From luxury bathrooms, wet rooms, bedroom and studies we can work with you and your architect from the very beginning of the design process. Our vast experience and high knowledge in exclusive and luxurious design means that together we can fulfill all your needs, requirements and vision to achieving the most exquisite and luxurious haven in your new house. We work with you from the start of your project drawing up and creating an exact and highly detailed 3D plan for all to follow. The setting out service provides you with the opportunity of selecting from a wide range of the highest quality sanitary ware, brass ware, tiles and furniture. We will create the perfect configuration working out the best positioning for doorways, lighting and the placements of pipework and fixtures. All of your trades will receive a copy of this which results in expensive errors and issues being avoided. For the most stunning interior for your grand luxury design in Berkshire, Buckinghamshire or Surrey contact Concept Virtual Design. This entry was posted in A3 Colour Design Service, Luxury Bathrooms, Luxury Interior Design and tagged grand design luxury interior design, grand luxury design in Berkshire, grand luxury design in Surrey, luxury bathrooms in Berkshire, luxury bathrooms in Surrey, new build luxury bathroom design, self build luxury bathroom design, self build luxury interior design. Bookmark the permalink.